Happy Monday everyone! I hope everyone had a good weekend. Since I don't have anything else at the moment to share because I've got some other posts planned for the week...you get to hear about my weekend. I went for the Philly Steak Dog which was really good and got the Happy Ending too. I have had the happy ending before (HA!) and couldn't pass it up again. Chuck got a Philly Steak Dog & the Neener Weiner. Lucky Louie's also has six packs and invididual beers and a nice little patio. 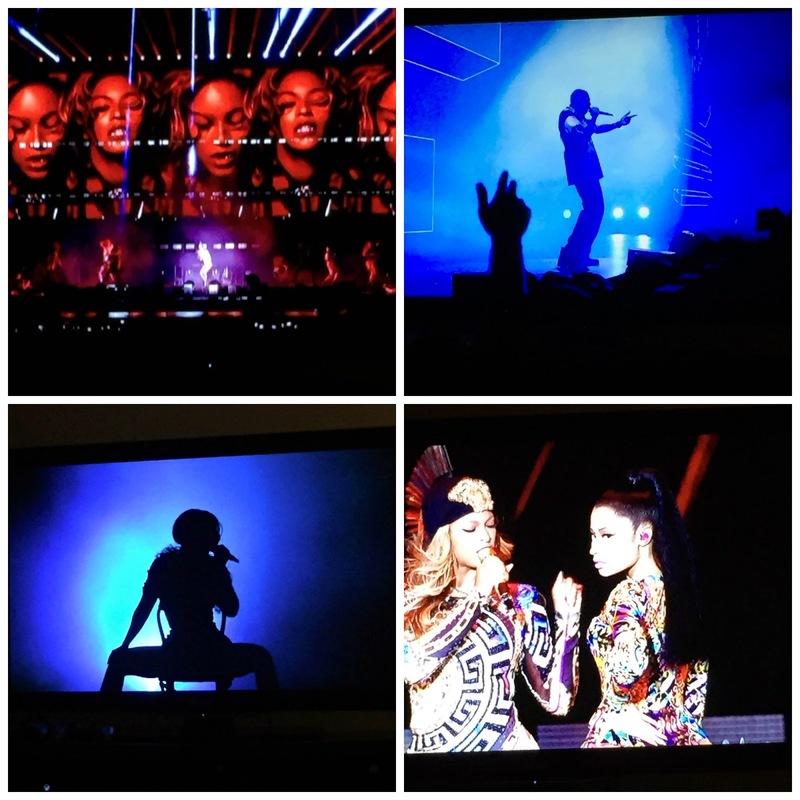 Saturday night we watched #OnTheRun Tour on HBO and it was AMAZING. I wanted to buy tickets when the went on sale. I remember being in the car on the way to the airport to leave for the Bahamas and getting online to buy them. The only tickets left when the page refreshed began at $300 a piece. I couldn't justify spending that on Jay and Beyonce...even though they are HOV and Queen B. I was so excited to learn that HBO was going to air the tour. Not only was the editing amazing, but watching the love between the two of them was incredible. So sweet! My favorite part of the show was when Jay Z screamed "Dream Big!" ...Chuck yelled from the couch "and BUY THE SHOES!" haha. I worked on a few things yesterday that you'll see on the blog this week. YAY for projects! Now it's giveaway time hosted by Rebekah from Living Lavender. Some bloggers & I have teamed up to give one lucky winner $100 from J. Crew!! They have so many beautiful pieces for fall. Enter via the widget below and Good Luck! ME TOO! Good luck girl!